A Gringo's Guide to Mexican Wiring by David Cunningham is an informative and fun read. 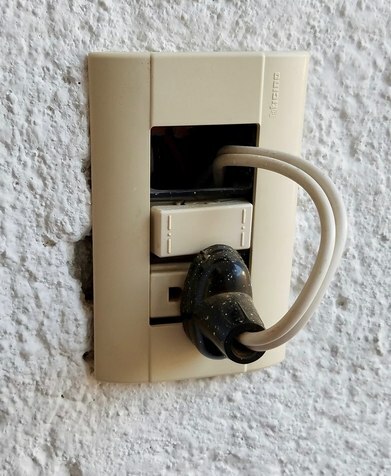 If you are building, remodeling, making any electrical changes, interested in wiring, or just wondering "what were they thinking?" or "how do I fix that?" this book might be for you. There is more information on his website mxelectric.org and you can buy the book there.for $5 USD. I took the photo recently here in San Miguel de Allende in a mixed commercial / residential building. Photo © 2018 Glenn E Wilson (CC BY 4.0).